When Elizabeth Dubow of Denver, Colorado, gave birth just six days before her sister’s wedding, she was initially “crushed” that she wouldn’t be able to make the ceremony. After all, she was the maid of honor. Although Anna, the bride, wasn’t mad at her sister, Elizabeth still began brainstorming how she could somehow attend. The solution? 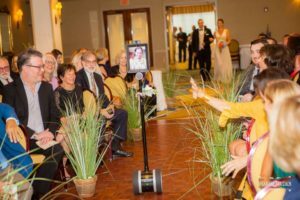 A robot on wheels that allowed her to video chat and move around at the ceremony and reception. Elizabeth ended up attending the rehearsal dinner this way, as well as “walking” down the aisle, giving her speech, and living it up on the dance floor with her family. Read more. 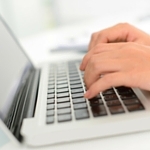 One New York City library is hoping to help its patrons out in a creative new way. The public library’s Riverside location in Manhattan is launching a Grow Up collection to help cardholders with their job interviews. Within the collection, New Yorkers can borrow an assortment of neckties, bowties, handbags, and briefcases. The section also contains tips, books, and website recommendations for interviews and general career advice. The items can all be checked out of the library for up to three weeks at a time. The only caveat? Make sure you library fees of over $15 are paid! Read more. Families separated at the U.S.-Mexico border are getting help from good samaritans with some extra miles. Beth Wilensky, a professor at the University of Michigan Law School, tweeted about having used her built-up frequent flyer miles to help a 3-year-old and his dad get a flight to be with their extended family. She then pointed the thousands who responded to her tweets to Miles 4 Migrants, a nonprofit that helps reunite refugees with their families around the world. 5.8 million airline miles have since been donated. Nick Ruiz, a founder of Miles 4 Migrants noted that donors have realized that this is a “very simple and a very tangible way to make a difference.” Read more. Dreams came true for Lawson Cooper on his third birthday this year. 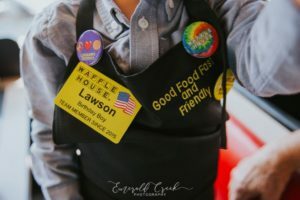 Lawson’s mother Natalie wanted to have the celebration of his special day centered around his favorite food, so she knew just where to go: Waffle House. Lawson was thrilled with the choice of his favorite restaurant, especially since he knew he would be getting some personalized Waffle merch, as Natalie said, “He knew about the theme because he was VERY excited about the pins on his apron and his name tag that he was going to get.” The literal icing on the cake? Waffle House yellow, of course. Read more. Two-year-old Roman Dinkel has inspired millions with his never-give-up attitude. Roman was diagnosed with a spinal defect called spina bifida during his mother’s 20-week ultrasound. He was operated on before he was born in hopes to make walking easier for him. And while walking hasn’t been easy, it’s certainly been worth it, as shown in a video Roman’s mom posted on Facebook, which features him showing off his walking skills to the family dog. The video has garnered almost 25 million views and, according to Ronan’s mom, inspired many along the way: “From random people telling us their story, you know, how they were depressed, or you know, how they were suicidal, or how they were going through these medical situations and to see that he influenced them in a positive way to change their mindset and change their view it’s just so heartwarming.” Read more.